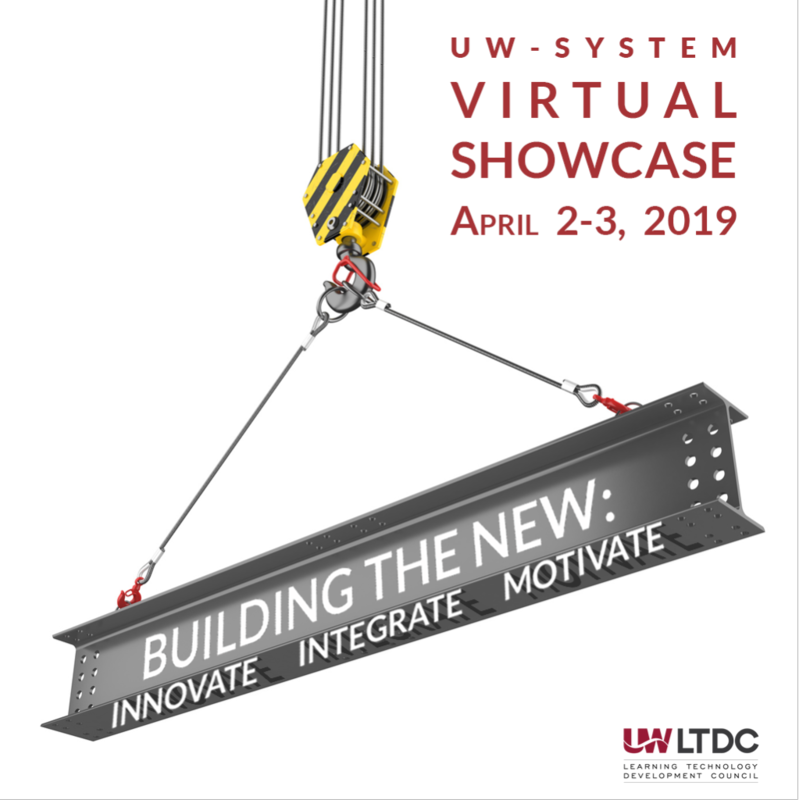 The education session proposal deadline for the 2019 UW System Learning Technology Development Council Virtual Showcase (https://www.wisconsin.edu/learning-tech/events-conf/ltdc-virtual-showcase-2019/) has been extended to December 21, 2018. The UW System’s annual LTDC Virtual Showcase will be held on April 2nd and 3rd, 2019. The theme for this year’s showcase is Building the New: Innovate, Integrate, Motivate. We want to hear your tips, tricks, and tales from the trenches as it relates to teaching, learning, and technology. Please consider submitting an education session proposal (https://uwex.co1.qualtrics.com/jfe/form/SV_eP9Str1A4qJz2hn). It’s a great way to present at a national conference without having to leave your campus or department. Presentations during concurrent sessions will be 45 minutes: 30 minutes for presentations and 15 minutes for questions and answers. All sessions will be given via a web conferencing tool. Sessions will be recorded and available for archive viewing. The LTDC highly encourages collaboration, use of appropriate and acceptable technologies, multiple institutions, and multiple discipline proposals. Digital Learning Environment – What have you learned about the DLE that you’d like to share? Discovered interesting features that everyone should know about? Teaching & Learning – Have you used technology to prepare instructors to teach or to assist students with learning? What train-the-trainer opportunities have you created? Technology and Other Resources – Have you created a wonderful set of resources for faculty and students? What new tool have you discovered that you want to share? Student Engagement – What are you doing to promote student engagement in your classes? How are your students connecting with each other and you? Library and Digital Media – How have you incorporated media or leveraged the library into your classroom? Let’s hear about your LibGuides, user guides, knowledge bases, and instructional videos. Open Educational Resources – What type of Open Educational Resources have you discovered in the public domain or introduced with an open license?